TOM COGHILL has worn many hats in his life, volunteering at age 17 to serve in the U.S. Navy in World War II spending most of his time in Shanghai China, working as a Special Agent with the FBI, and becoming a senior partner trial attorney and chairman of the products liability section of a 300 lawyer law firm. He is a Fellow of the American College of Trial Lawyers and is listed in Marquis Who's Who in American Law, in the Midwest, in America and in the World. Tom is rated by Martindale Hubbell peer review as AV Preeminent, the highest possible rating. He is the co-author of Illinois Products Liability. 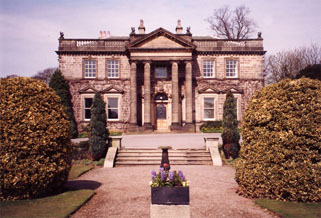 His interest in history, and particularly family history, came from a genealogy book published in 1879 titled "The Family of Coghill" by James Henry Coghill which included a picture of Coghill Hall in Knaresborough, England. Also enhancing his interest in American history were original Civil War letters written by his great grandfather, James Lindsay Coghill, to his wife, Molly, during James' active duty in the Confederate military. Tom's first actual viewing of Coghill Hall was overwhelming. 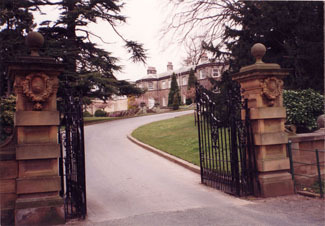 As described by him: "As I was nearing the end of my lengthy legal career, my wife and I took a driving tour through England and to Knaresborough and there, like the end of a fairy tale, and to our delight, stood stately old Coghill Hall, now known as Conyngham Hall —occupied by Coghills for 400 years. What happened to them? Why did they leave? Where did they go? These questions fascinated me. Although my own family lineage is a mere twig on James Henry's family tree, my childhood curiosity and adult revelation of reality caused me to spend six years researching and writing Cavaliers. It is historically authentic and deals with actual Coghills, but of necessity, novelizes the conversations and everyday lives of the Coghills. The book follows a family from civil war in England in 1641 to civil war in America in 1861. It attempts to bring the family to life through this 220-year period and, hopefully, make us appreciative and understanding of a portion of the heritage and culture of the United States of America. 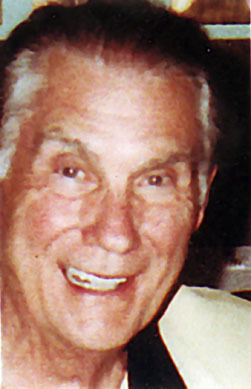 Tom is retired from a 50-year law practice and presently resides in Phoenix, Arizona. "It is written with clarity and directness, crammed with interesting information. It is easy to read and takes nothing for granted. The reconstruction of the Civil War (England) in general and Marston Moor in particular are impressive." "The descriptions of the scenes made me feel as if I were experiencing the event!" "It is absolutely fascinating. I find it hard to put the book down." "Like Janet Moore, I found it hard to put the book down. The author did some excellent research. I have genuinely enjoyed reading it." "The book is great! I hope the author does more." "I especially liked the section on the Revolutionary War and Civil War, the deprivations, sickness and low morale. It is a miracle we won independence from Britain." Ernest Bryan, Retired Conservationist, Manistee, Michigan: "What a great novel! It was hard to lay it aside." Nicholas Thomas, Author and Educator, Scottsdale, Arizona: "Very well written and great reading." "What a great book! It is a great reminder of historical events told with great feeling." William G. Guerri, Lawyer, St. Louis, Missouri:"Cavaliers is terrific. I am impressed with the extraordinary amount of historical detail. It was fascinating reading. It deserves to be a best seller." "I've applied to the University for a job teaching history because I'm qualified after reading Cavaliers." "I am truly amazed with Cavaliers. It is one of the best books I have ever had the pleasure of reading in my entire life. I love reading history and adventure and, for me, Cavaliers now ranks right on top of my favorites along with Undaunted Courage by Stephen Ambrose and Lonesome Dove by Larry McMurtry."